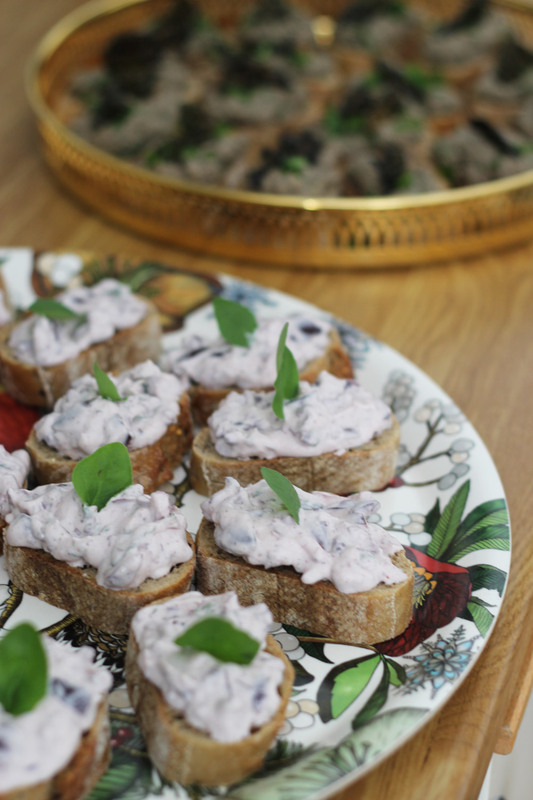 So, this olive and oregano cream is perfect to make a bruschetta style canapés of. I’ve used fairly thin slices of a sourdough baguette for the base and then just topped it off with this filling. Great for either bunch or afternoon tea. Mix vegan crème fraîche, salt, garlic and pepper in a bowl. Slice onions and chop olives and oregano throughly and add to the vegan crème fraîche mixture. Taste and adjust with additional salt or pepper. This topping really comes out as it’s best if its stored in the fridge overnight, prior to serving.